Is it just me or is organizing the bathroom a daily struggle? It always seems to get trashed so quickly! 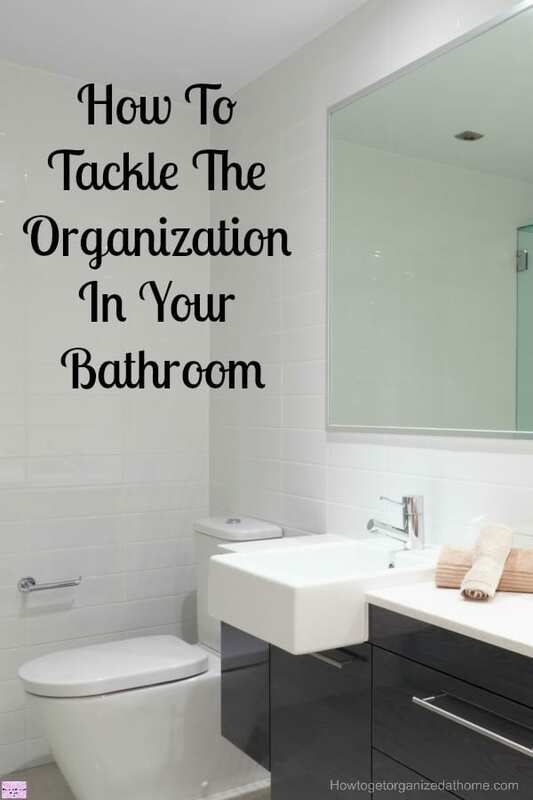 That is why I am looking into how to tackle the organization in your bathroom, once and for all! It doesn’t have to take over your life! There are simple ways that will keep things organized and easy to put away! I am working with Decoraport to bring you this article, all opinions are my very own! It’s Time To Sort The Chaos! Before you start organizing you need to know what you have and what you need to store in your bathroom. Without this knowledge, it is difficult to plan any ideas for organizing! Looking at what you have currently stored in the bathroom, are there any changes you need to make? Medicines and make-up are two items that if you can, you shouldn’t store in the bathroom as the high moisture content can damage the items! It is easy to not look at the storage you have and the option this provides when it comes to organizing the space! I love freestanding bathroom vanity’s that you can get now! I think they look so elegant and they offer so much more potential storage than the pedestal design I have currently! When I re-do my bathroom in a few years I am definitely going for the look and style of a vanity unit rather than a pedestal sink, I think these are more popular in the UK! It is amazing what you need to have available, and without adequate storage, you do have to become quite inventive, on how you are able to organize and store items in your bathroom! You need to think about towels, they are bulky items that you need to access relatively easily! With bath towels I am in the camp of one use and then wash, it has always been this way for me so I do tend to go through lots of towels! Hand towels are changed daily! So, storage for me is important! For many years I had towels stored outside the bathroom and this was a pain! A few years ago we invested in a unit that would hold the towels and it was amazing! Don’t just throw everything in a cupboard and hope the doors will shut, this is destined for disaster! For large items, you need to have a set space for them, and smaller items need restricting in some shape or form! Plastic storage boxes are great for keeping little items together! You can also try a Lazy Susan as this allows you to see what you have and to access it easily too! Don’t think it is something that you will come back to because it will be a mess before you know it! If you haven’t got any spare plastic boxes, try using cardboard boxes from the different areas of your home to hold all those little odds and ends! You can always pretty them up with some wrapping paper! Seriously, I have been there when there are loads of toys for the bath and you just don’t know what to do with them! A netted laundry bag is ideal, you allow the air flow around the toys to avoid mould and they can drip dry if you have a hook above the bath! The space you can use in a bathroom is limiting and often difficult to find adequate storage to hold all the items that you need! It is important to use all space available and this means vertical space too! Think about finding solutions to holding shower gel and other items you need whilst in the shower. Wall storage prevents bottles and other items left on the floor or edge of tub causing an unsightly mess and potential danger! If you are lucky enough to have drawers in your bathroom, you must use these, but always divide and conquer the space! An unorganized space quickly becomes a mess where you can find nothing! Taking the time to organize and sort any drawers will have an immediate impact on finding things you need! Therefore, if you are having a difficult time keeping your bathroom organized these tips might just save your sanity! Looking for more articles on bathrooms? 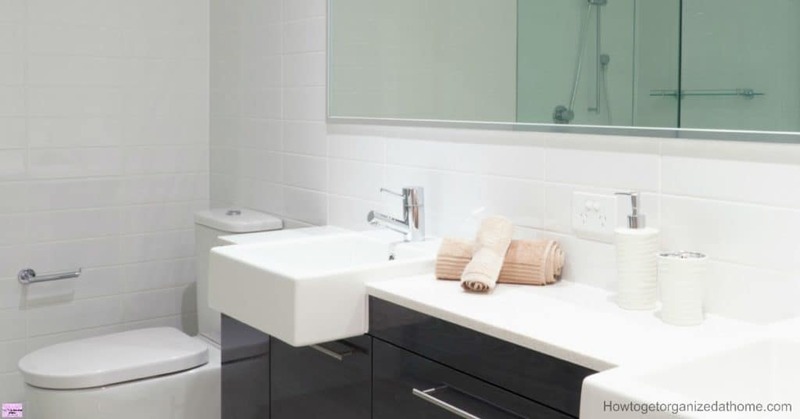 15 Reasons Why You Should Deep Clean Your Bathroom is a great place to start!